The management of the National Youth Service Corps, (NYSC), has announced the registration guidelines for prospective 2018 Batch B corps members. The guidelines, as contained in a statement released to journalists in Abuja, disclosed that registration will start on Tuesday 10th July, 2018 and end on Monday 16th July, 2018. It reads in full: “Prospective Corps Members, PCMs, who are yet to register in the NYSC portal including the newly uploaded graduates, your Registration starts Tuesday 10th July, 2018 to Monday 16th July, 2018. 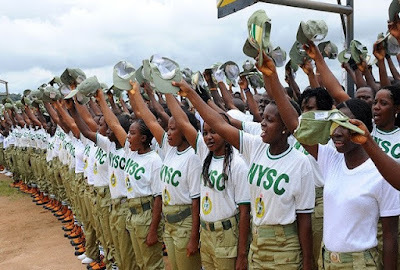 “The NYSC portal will be open for Revalidation only for those mobilized in 2017 Batch “B” and previous Batches, but did not go to the Orientation Camp. “Those who were mobilized in 2018 Batch “A” and were Issued Call-up Numbers but were informed that their Orientation will be July 2018, are not to register again or revalidate on the portal. Instead you are to go to the Orientation Camp on the 24th July, 2018. You will be informed when to print your Call-up Letters through SMS.